WEST LAFAYETTE, Ind. — A Purdue University entomologist will speak Thursday (Sept. 20) about research efforts to breed hardier, parasite-resistant honeybees in North America and Europe at the next Science on Tap. The event is free and open to those 21 and older. Sponsors for the talk are the Purdue Department of Entomology, the College of Agriculture and Discovery Park. Hunt and his fellow Purdue researchers are investigating how to breed bees that are more mite-resistant. The research team is collaborating with Indiana beekeepers in a breeding program to select for “mite-biting” bees and the team has been investigating the genetics behind this trait. 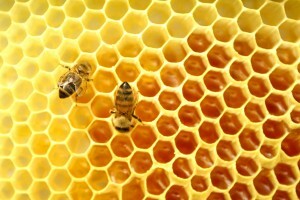 According to Hunt, the United States is losing about one-third of its honeybee hives each year. No one factor is to blame, but Hunt said scientists think others such as mites and insecticides are working against the bees, which are important for pollinating food crops and wild plants. The official bee population in Indiana is well over 10,000 hives and each hive holds anywhere from 30,000 to 60,000 bees, he said. Hunt, who has been on the Purdue faculty since 2002, received his bachelor’s degree in biology from John Carroll University in 1979, a master’s degree in plant pathology from Pennsylvania State University and a doctorate degree in entomology from the University of California, Davis, in 1994. The Science on Tap lecture series, led by Purdue graduate students Patrick Dolan, Shaili Sharma and Becca Scott, provides Purdue faculty and collaborating researchers the opportunity to share research activities in an informal setting, with presentations that are designed to appeal to a more general audience. Attendance at the monthly event has averaged 80 during the program’s first two years.